FAQ: Read about Loom & Leaf in our Top 10 Best Mattresses of 2017 Guide or leave a comment! The Leesa mattress, unlike the Loom and Leaf, comes in only one firmness option designed to appeal to a wide range of sleepers, and it is around a 5/6 out of 10 on the firmness scale, with 10 being the firmest. The thinner construction of this mattress also caused him to bottom out when sitting up on it which was not the case with the Loom and Leaf. As for sleeping hot, the Leesa mattress, just like the Loom and Leaf, does a good job here, and it is about average in this category. Its thin cover and the use of the Avena foam layer in its construction provides good air flow, makes this mattress breathable, and eliminates the feeling of stickiness usually present in memory foam mattresses. The sinkage of the Leesa also caused motion transfer during the night than the Loom and Leaf as Andrew would sink lower than me, which caused me to roll into him. 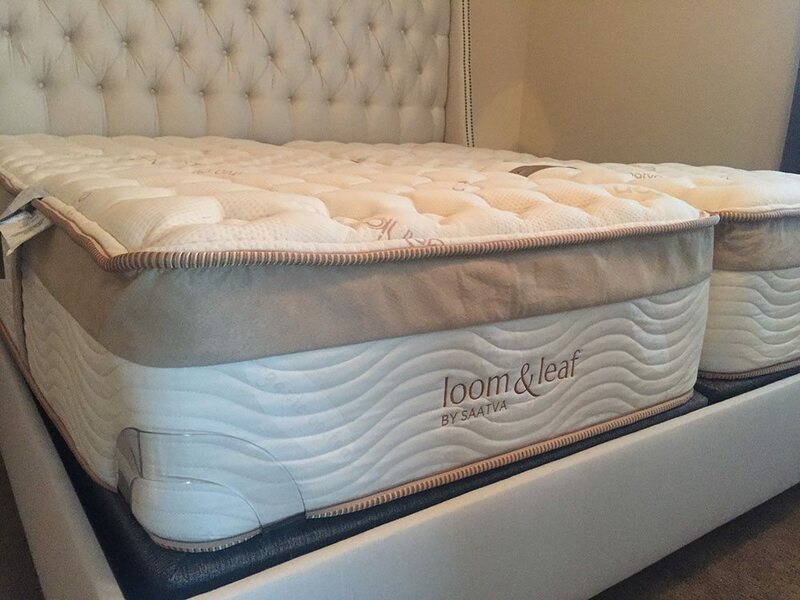 Below is our comprehensive side-by-side comparison of the Loom and Leaf vs. Leesa mattress.